Want to whittle your waist and improve nutrient absorption? This is the fruit you should be eating! Avocados are one seriously versatile fruit - yup, it's a fruit! Packed with healthy fats, disease-fighting antioxidants and a host of vitamins and minerals (about 20, to be exact), the luscious gems are one of the most rich, satisfying and downright delicious foods on the planet. Looking to shed a couple of kilos? Avocados can help! According to a recent survey, Americans are still fat-phobic, probably due to the belief that eating fat makes you fat. However, the truth is that eating healthy fats, like avocados, can help you reach your weight loss goals! Plant-based fats such as avocados help you feel full for longer plus provide your body with inflammation-fighting antioxidants. Studies have linked both satiety and antioxidants to weight management. This may explain why recent research found that people who eat avocados often have smaller waists – even without eating fewer calories. Eating healthy fats keep you satisfied for long periods of time by slowing down stomach emptying and delaying the return of hunger. 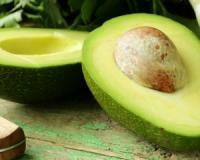 A medium-sized avocado packs about 22 g of fat – and most of them are heart-healthy monounsaturated fatty acids, also known as MUFAs. One recent study found that volunteers who ate half an avocado at each meal had a boost in satiety and reduced desire to eat for up to five hours, compared to those who didn’t eat avocado with their meals. If you ask me, this is a good reason to reach for guacamole as your salad dressing! The reason why isn’t clear, but research has proven that avocados can help your body absorb more antioxidants form other foods. One Ohio State study discovered that when men and women ate salads and salsa topped with two-and-a-half tablespoons of avocado, absorbed 13 times more beta-carotene and eight times more alpha-carotene. Another recent study found that eating a combination of carrots, tomato sauce and avocado helps your body absorb more vitamin A from the carrots. For if you didn’t know, vitamin A is crucial to your skin, eye and immune health. This isn’t exactly a health benefit, but it’s surely worth mentioning! Apart from avocado on toast and classic guacamole, avocados are great in a variety of other dishes, too – both sweet and savoury. You can add them to just about everything, from green smoothies to chocolate pudding to tacos. Tip: You can even use avocado in place of butter in recipes like cupcakes and brownies. Simply substitute every tablespoon of butter with a half-tablespoon of avocado. This simple swap will upgrade the quality of your baked good, improves texture and slash calories!